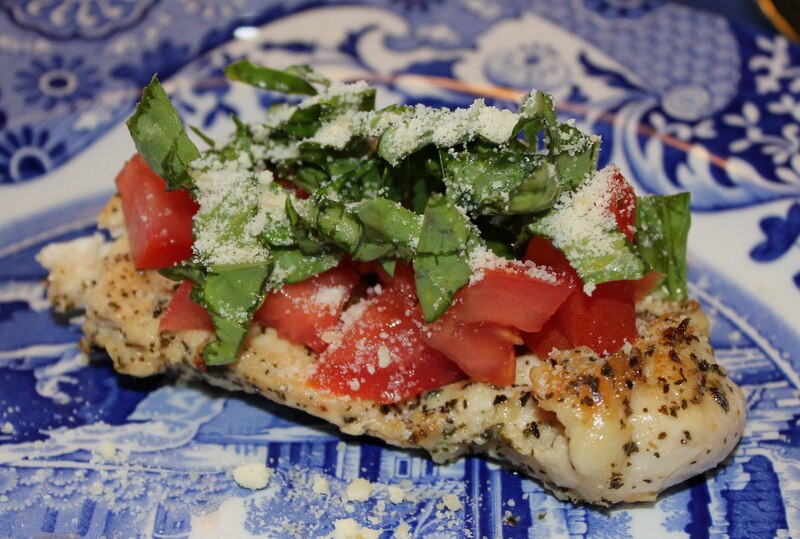 I made this Grilled Tomato Basil Chicken a few weeks ago for girls night with my mom, sister and me. My dad was at a church meeting, and my husband was at dinner with work, so with the men out of the picture, us girls had a lovely evening at my house. This chicken recipe serves two, but since we all “eat like birds” (which I hear from time to time), it was plenty of food for us. 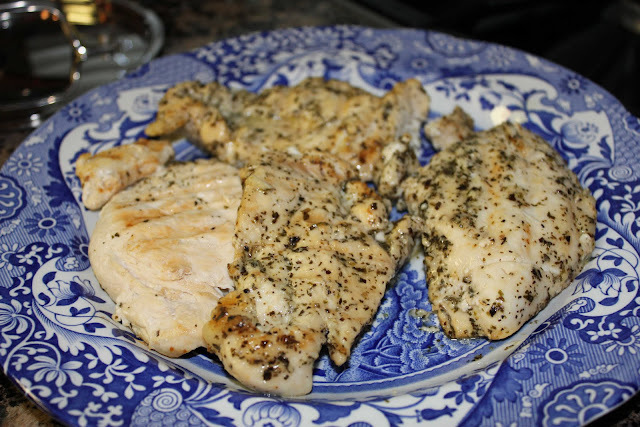 If you’re trying to eat healthy, this grilled chicken recipe would be right up your alley. It has an Italian twist with a flavorful and tasty homemade basil-pesto sauce, fresh Parmesan cheese, juicy red tomatoes, and extra fresh chopped basil to top it off. The aroma of this dish is detectible and makes you feel like you really are sitting in a fine Italian food restaurant. A slice of Garlic Ciabatta Bread, and you’ll have a complete meal. This recipe is from a new food blog I just discovered, How Sweet It Is, along with some other sinfully sweet looking desserts that I’ll have to try! 1. 2-24 hours before cooking, tenderize meat (with a meat tenderizer or frying pan), season generously with salt and pepper, and place in a ziplock bag. 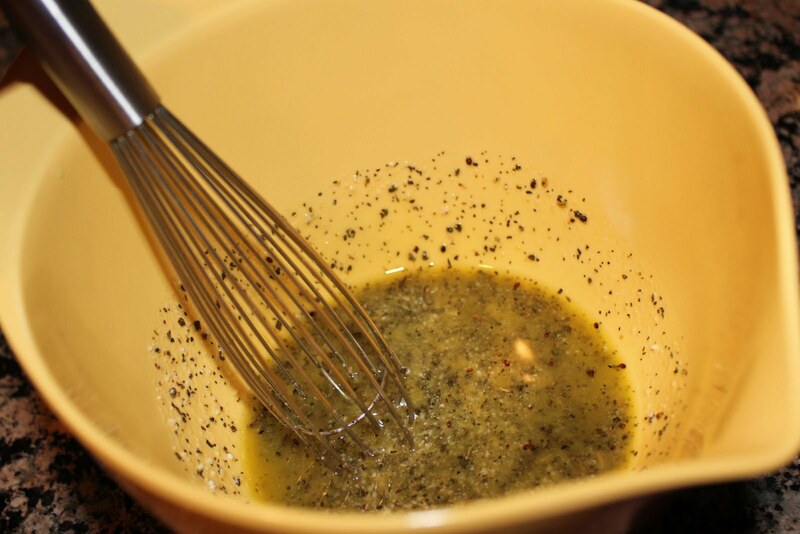 Add marinade ingredients and make sure all chicken is covered. Store in the refrigerator, flipping occasionally, until 30 minutes before grilling. 3. Preheat grill, grill pan, or skillet on medium heat (I used a cast iron Le Crueset grill pan) and add 1 tablespoon olive oil. Grill chicken 2-3 minutes on each side, until just cooked. Place in a baking dish and bake at 350 degrees for 20 minutes, or until chicken is cooked through. 4. While chicken is baking, chop one tomato and slice the other into thick rounds. Lay slices of tomato on a platter. When chicken is done, slice and lay on top of tomato. Cover with basil, chopped tomato, garlic and parmesan.